The almost outstanding way to explore the beauty and culture of Jaipur – The Pink city, through our 2 night’s private Jaipur tour package. Jaipur city is surrounded by Aravali hills. The major alluring destinations of the city are Jantar Mantar, Amer Fort, Lakshmi Narayan Temple or Birla Temple, Jal Mahal located in the center of Mansagar lake, Hawa Mahal renowned for its 953 sophisticated chiseled jharokhas, Albert Museum, City Palace and the traditional end of the day in Chokhi Dhani with delicious Rajasthani dinner and camel ride. Savor the Elephant Ride at Amer Fort. Delightful glimpse of Water palace (Jal Mahal) at Mansagar Lake. Enjoy Scenic View of JalMahal with Camel Ride. Jantar Mantar a collection of nineteen architectural astronomical instruments. Explore oldest museum, Albert hall. Enjoy visits to City Palace a fusion of Mughal, Rajput, and European architecture. You will be picked up by a chauffeur from Jaipur Hotel/railway station or airport in AC cars for Jaipur Tour with Elephant ride and Choki Dhani. Recommended arrival time between 09 AM – 15PM. After picking up, the cabbie will take you to the good 4 star category hotel where you rest and refresh for some while. 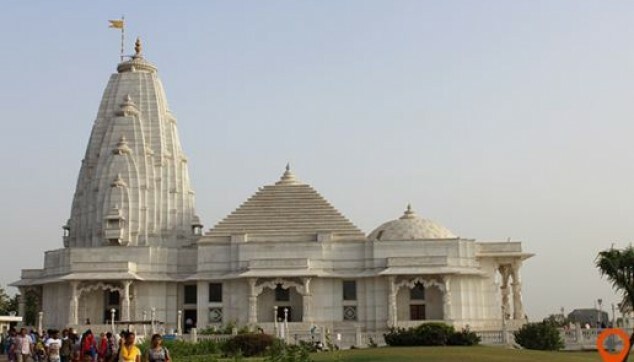 In the evening, a Jaipur Tour with Chokhi Dhani starts from Birla Temple also familiar as Lakshmi Narayan temple placed at the foot of the Moti Dungri fort. The Temple is radiantly designed with intricate carvings and images of Socrates, Buddha, Christ, and Confucius on the outer walls of the temple. The major attraction point of this temple is the images of god and goddess are made up of a single piece of marble. After a divine visit of a temple, explore the state’s oldest museum, the Albert Hall museum designed by Sir Samuel Swinton Jacob. This museum is a rich assemblage of an art of Jaipur as ivory, stone, carpets, paintings, crystal work and much more. Next drive is towards Chokhi Dhani, Jaipur, here you enjoy the Rajasthani traditional dance, puppet shows, camel ride and delicious Rajasthan food. After dinner return back to the hotel and, get retired for the night. In the second day morning after having tempting breakfast, a cab takes you to visit Amber Fort where you enjoy an elephant ride. Amber fort is constructed with red stone and white marble. The Amer fort is a merger of architect work of Hindu and Muslim pattern. This Fort has four major sections Diwan-e-khas, Diwan-e-aam, Sheesh Mahal and Sukh Niwas. 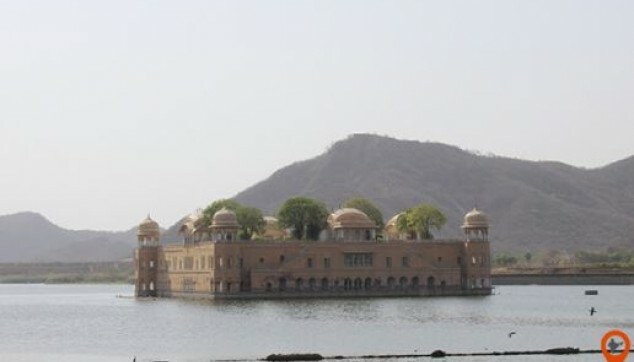 Later, stop at Jal Mahal, also familiar as Water Palace, it is located in the middle of Mansagar Lake. It is believed to be the romantic destinations of Jaipur attributable to its pleasing and fascinating glimpse. Here, you will also enjoy a camel ride. After the camel ride, visit Hawa Mahal, remarkable as ‘Palace of Winds’ and also designed as the crown of Lord Krishna i.e. pyramidal shape. It was designed by Lal Chand Ustad and constructed with red and pink sandstone, it’s unique beehive like exterior and 953 small windows (jharokhas) make it incredible. Next visit to the City Palace, The magnificent City Palace of Jaipur is a true fusion of Mughal, Rajput and European architecture that comprises Chandra Mahal and Mubarak Mahal. Chandra Mahal is converted to a museum where a rich collection of unique painting, floral decoration, mirror work, carpets, manuscripts, weapons and other items akin to Rajput royal family. After the city palace, your last Jaipur monument destination is Jantar Mantar subsist of thirteen architectural astronomical instruments, built by the Maharaja Jai Singh II. After the city tour, our Guide and chauffeur will take you in some famous handicraft and jewelry shops where you buy some gift and souvenir. After shopping, our chauffeur will drop you to the Hotel where you enjoy dinner at Hotel. Overnight at Jaipur. 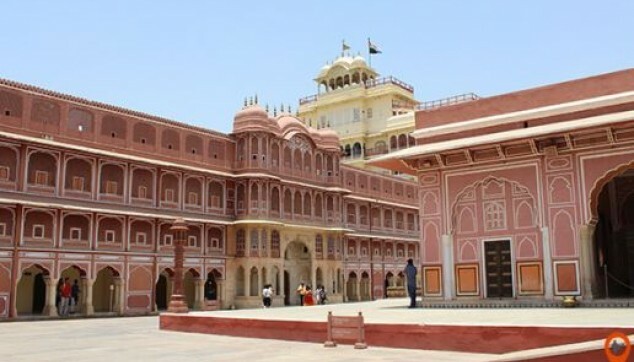 Day (3)– Jaipur (B) – Next day morning after breakfast and check out, our cab will drop you to the airport, railway station or any other place within the Jaipur city., Your 2 nights 3 days private Jaipur Tour package ends here with lots of unforgettable moments. Stop thinking and Book Jaipur Tour with Chokhi Dhani package with Indiator and gives us a chance to serve you with our best services. Two night’s hotel accommodation in good 4 star Hotel. 2nd day dinner at Hotel. Camel Ride at Jal Mahal or Chokhi Dhani. Rajasthani culture has always excited me. That's why I thought to visit Jaipur. I loved all the places especially the Amber Fort and the elephant ride there. In my town Every single person talked about Chokhi Dhani, who visited jaipur before. So i visited this place this evening of my trip. After visiting this wonderful place, i regret not to visit before. Chokhi Dhani : a traditional village, where anyone can enjoy dinner(veg or non-veg), folk dances, folk music and other fun games.